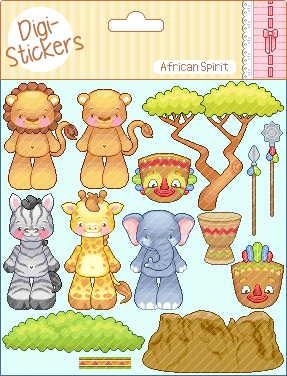 These Digi-Stickers have an African theme, with animals in a variety of poses and plenty of props to mix and match. These characters are quite large, making them perfect for a webset or email stationary. Click the image for the full preview. This set is made with outlines by Berliner Baerin (site now closed).